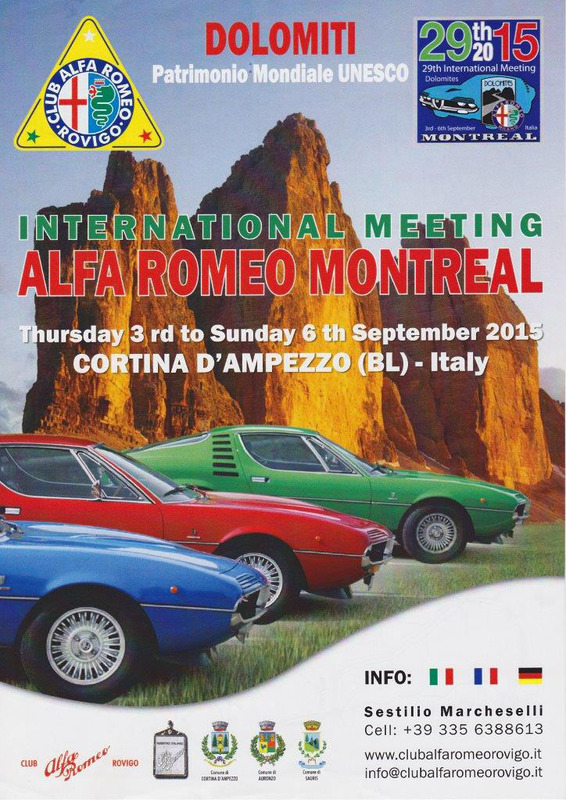 The 2015 meeting was held in the Dolomites in north-eastern Italy from 3 to 6 September. 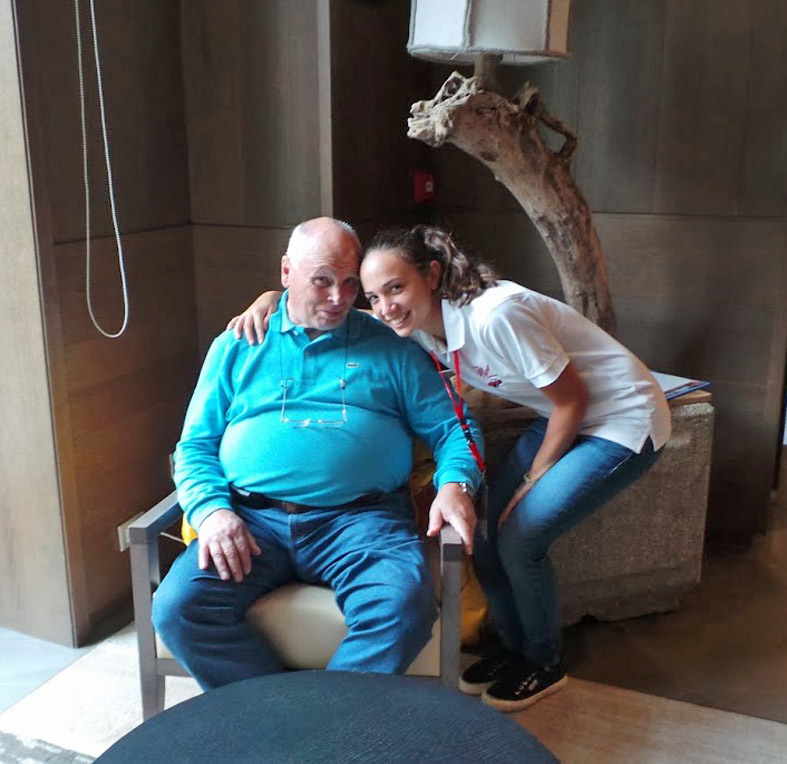 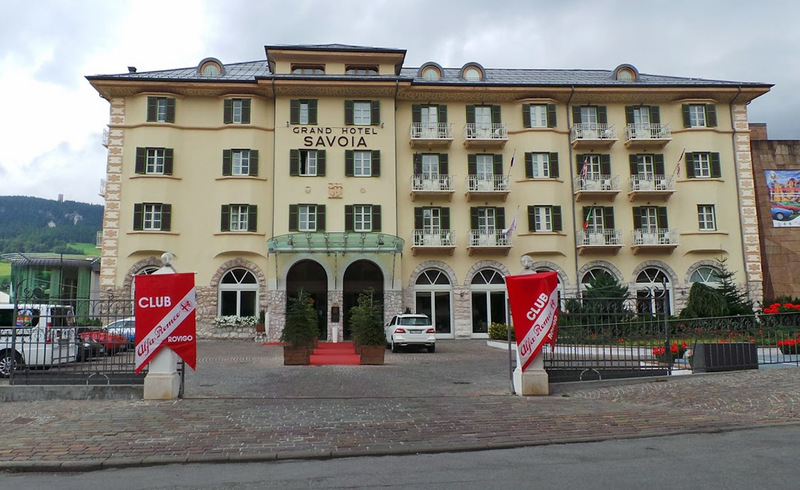 The base was the 5-star Grand Hotel Savoia in Cortina d'Ampezzo and the local organiser was Sestilio Marcheselli. 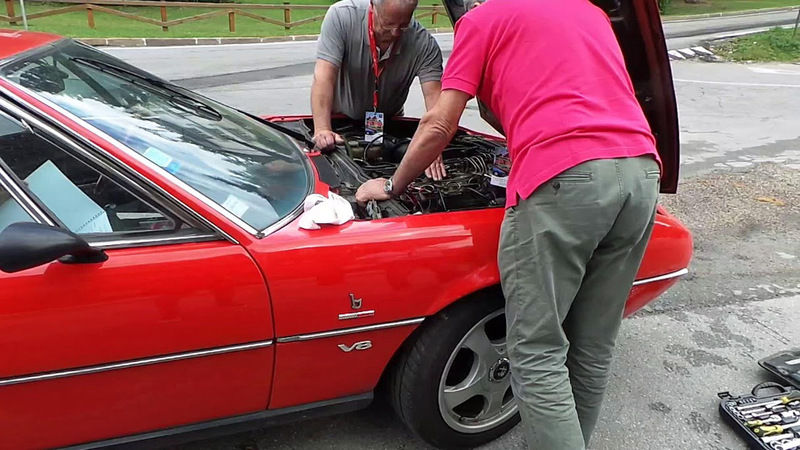 The meeting was supported by the Club Alfa Romeo Rovigo. 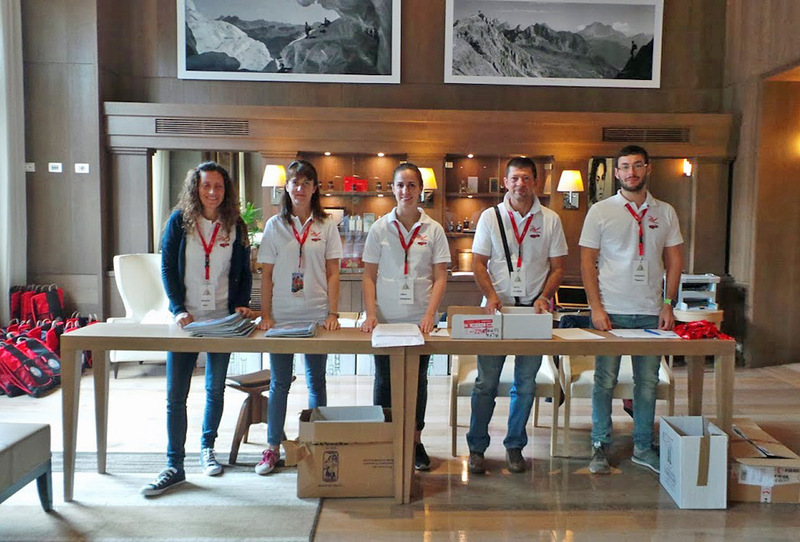 165 participants with 76 Montreals from 12 countries registered for the meeting, including 20 from Germany, 13 from Italy, 12 from Switzerland, 8 from Holland, 5 from Belgium and 4 each from France and the UK. 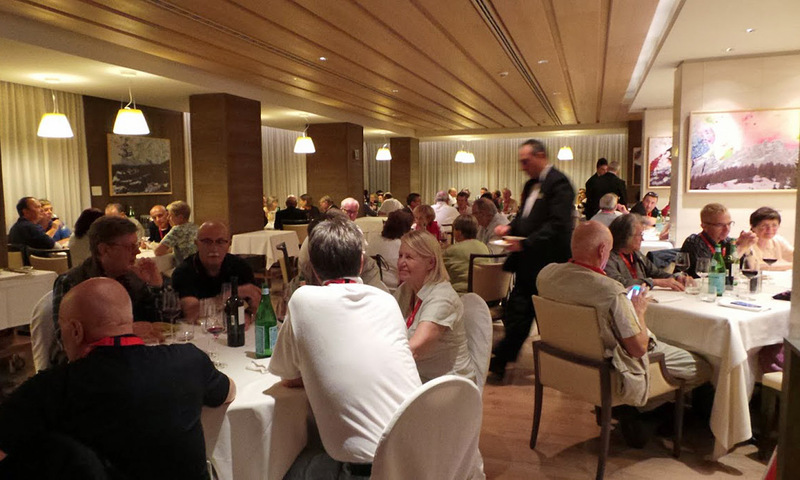 A welcome aperitif was served to participants on their arrival on Thursday, and this was followed by dinner in the hotel. 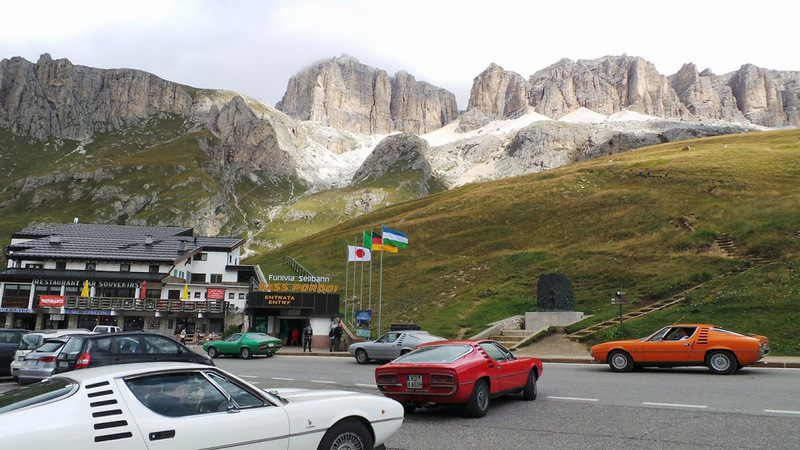 On Friday morning, the Montreals set off for the first 120km tour of the Dolomites, passing by Pocol, Passo Falzarego, Passo Pordoi and Passo Fedaia to reach Malga Ciapela for a lunch stop at the Principe Marmolada Hotel. 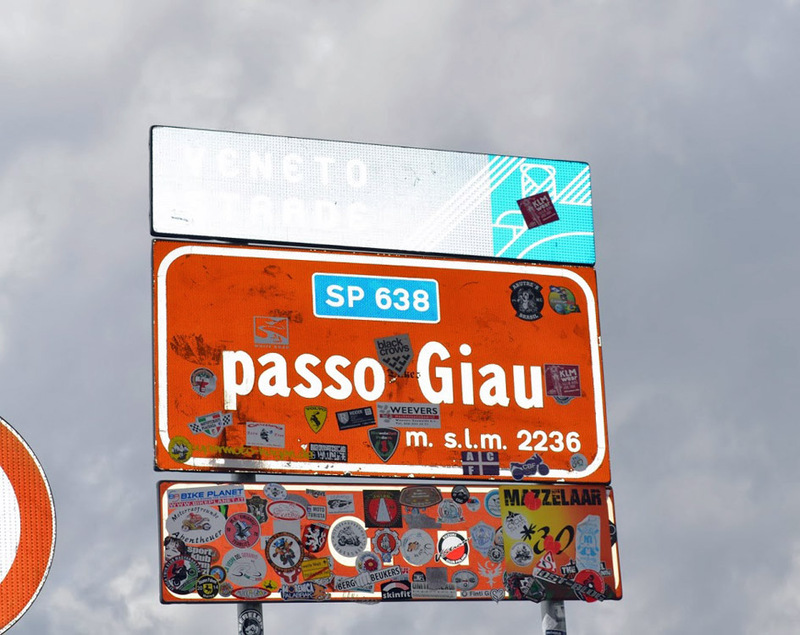 During the afternoon return journey by a more southerly route, a stop was made at Passo di Giau to admire the stunning panorama. 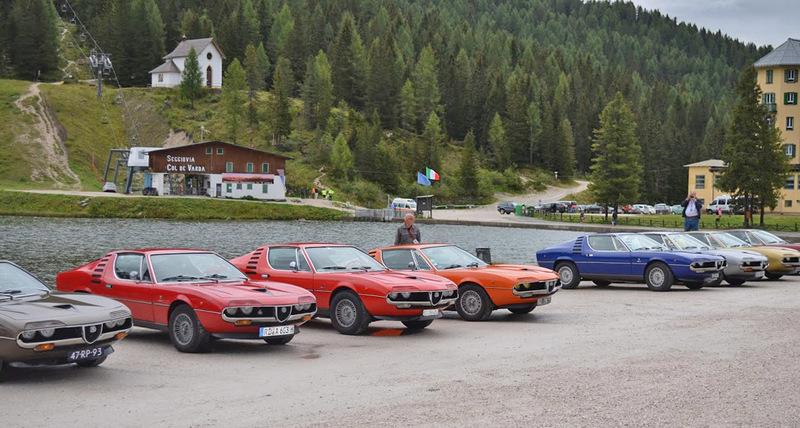 The second tour on Saturday followed a 133km route northeast of Cortina via Passo Tre Croci, Lago di Misurina, Dobiaco, San Candido and Sesto to Monte Croce Comelico for a lunch stop at the Kreuz Berg Pass Hotel. 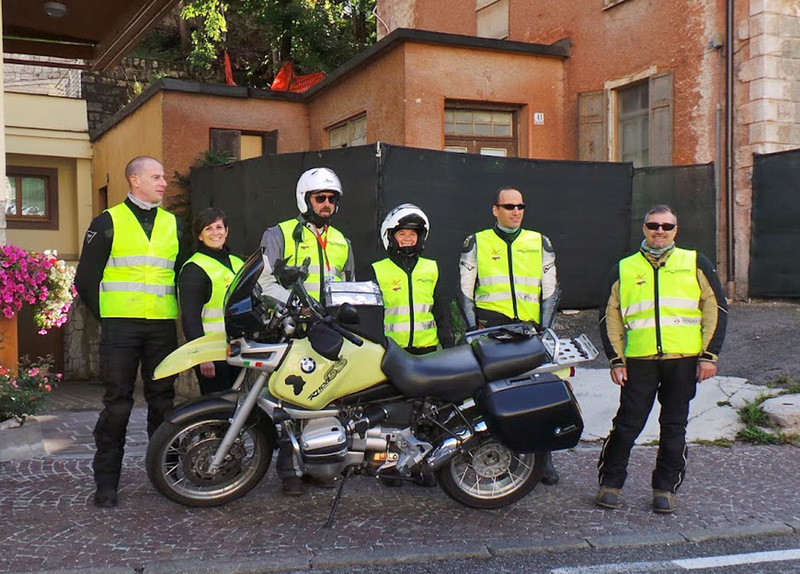 The return journey was via Auronzo di Cadore and Misurina. 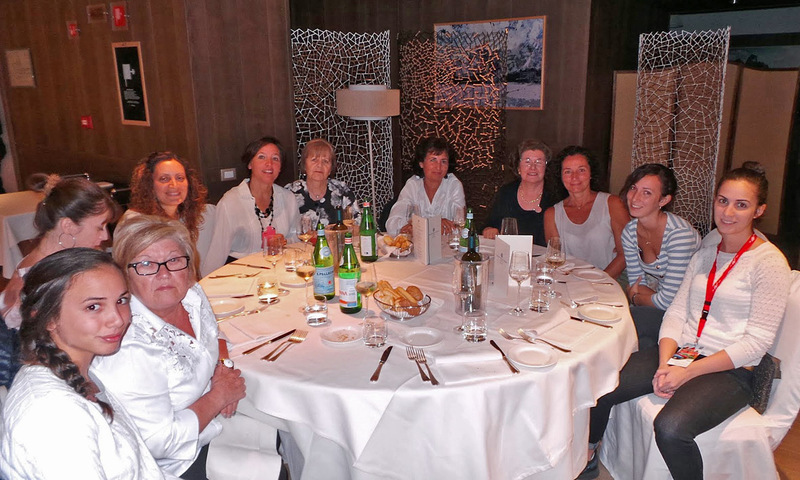 After arrival at Cortina there was time for shopping and enjoyment of the hotel's spa before the evening gala dinner with live music. 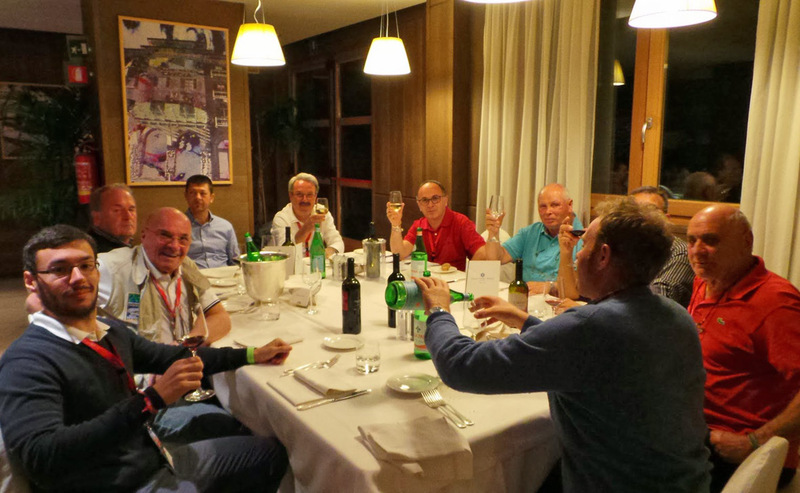 Xavier Lemaire described his plans for the 2016 Montreal Meeting in Belgium, and Delmas Greene made a presentation about the ARCC - AROC USA meeting that is planned for 13-16 July 2017 in Montreal, Canada. 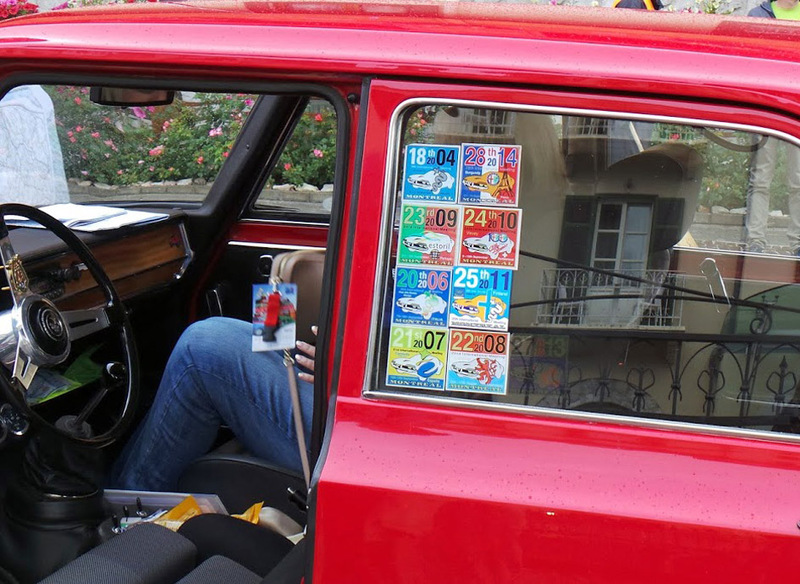 The Bernhard Schalbetter Memorial Trophy was awarded to Timo Jaatinen, who drove his Montreal to the meeting from Helsinki.